The telephone is more than one hundred thirty-years-old, the internet and the cell phone over twenty. And now, today, this ever more dense entanglement of telecommunications networks is coupled with an intertwining of human and social networks: we are on the way to becoming.... networks. Didier Lombard is both the “living memory” of French and European industry, and a visionary businessman, at the helm of one of the most active corporations in the world in a sector that is essential to growth. For the first time, he presents to a general readership his view of the technological developments that have occurred starting in the 1970s to the turn of the twenty-first century. Above all, he shares his vision of what our exchanges, our consumer behavior, and our daily lives will be like in the near future. 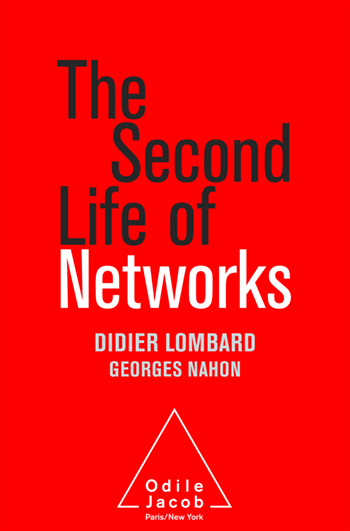 In fact, we have already entered into the “second life” of networks. Beyond what is at stake in a key sector of the economy, to better understand the new world that is already our own. Didier Lombard is CEO and Chairman of the Board of France Telecom-Orange. A graduate of the prestigious Ecole Polytechnique, he holds a telecommunications and engineering degree as well as a doctorate in European Economics. He played an important role in the inception and design of the first French telecommunications satellites. He also contributed to the development of the GSM [Global System for Mobile communications]. He subsequently was appointed as Director of Industrial Strategy for the French Ministry of the Economy then Ambassador for International Investments.